I like to work with left overs in the fridge. The most common left over in my kitchen happens to be cooked rice. Some days you do not want to go the traditional route and make a dal, curry or stew to go along with left over cooked rice from the night before. Whenever I’m out at a book store I either gravitate towards the cook books featuring appetizers, baking, party food or books on entertaining and hosting dinner parties. 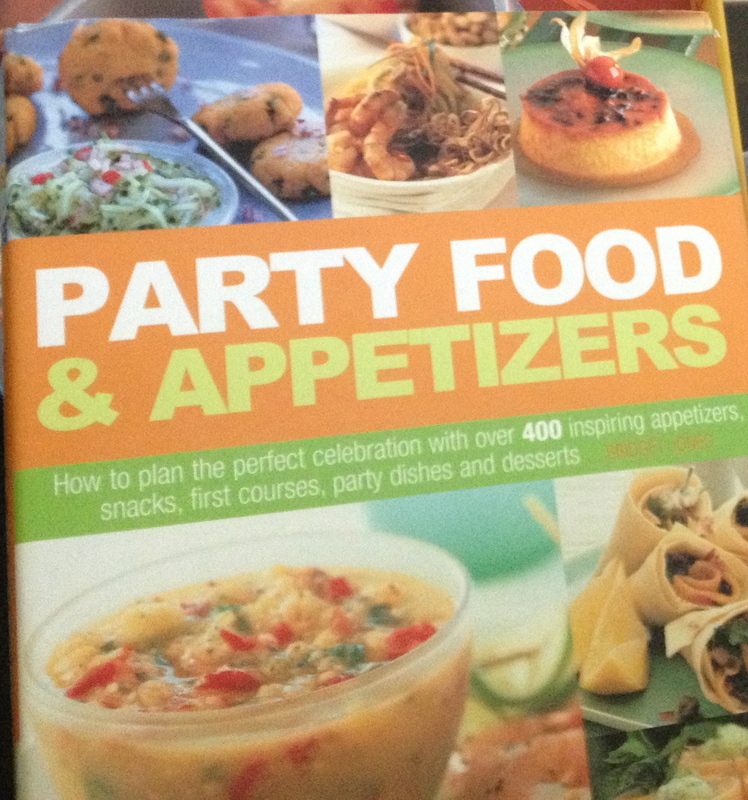 I came across this recipe in “Party Food & Appetizers” and I immediately bookmarked it to try out later. I picked this cook book from Borders. I have made this recipe many times with a slight changes and it has consistently been a crowd pleaser. It’s amazing how people try and guess what these were made with. I usually cook a batch of rice and leave it for 2 hours to cool at room temperature before I start making this. 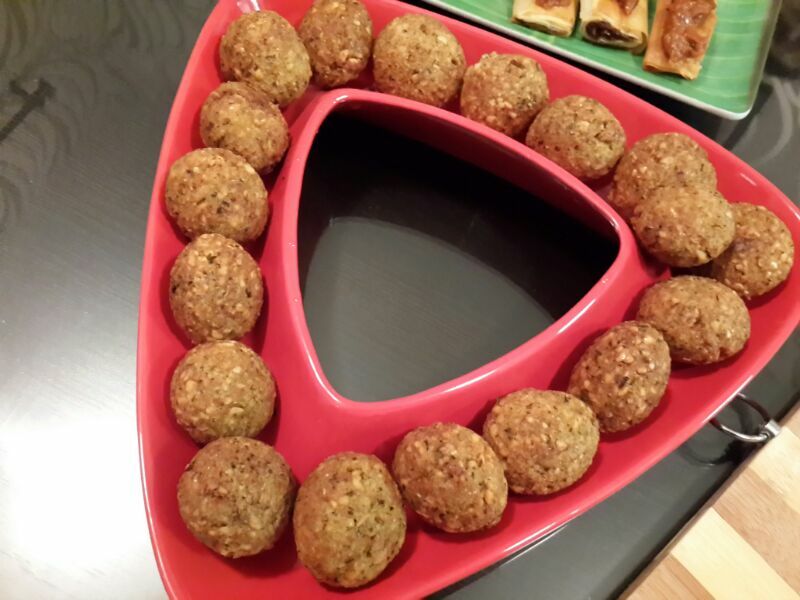 I first made this for a dinner party I hosted for my colleagues and served it with an assortment of dips to choose from like Creamy Spinach Dip, Homemade Hummus, Tomato Roasted Pepper Dip and Tzatziki. Look wise they almost seem like “Falafel” but are crunchy and crumbly at the same time. In a blender, put garlic cloves, ginger, green chillies, coriander, peanuts, sugar, turmeric powder and salt. You can choose to dry roast the peanuts before hand. They would add to the crunch. Blend well and now add soy sauce and lemon juice. If your guests can take spice, add chilli sauce. I prefer Nando’s Peri Peri sauce. Add cooked rice to the mixture one cup at a time and blend until it turns in to a slightly sticky mixture. Remove in a bowl and add bread crumbs as required for binding. I also use bread crumbs sparingly to coat the spicy peanut balls before deep frying. As per the original recipe, roasted peanuts were used to coat the balls. Grease your palms with little cooking oil and shape in small round balls. Deep fry and serve hot with tomato ketchup.